Kotlin was created by JetBrains and officially released early last year. It gained popularity largely because it runs on the Java Virtual Machine and can be used alongside Java to build apps. This means developers can take existing code and easily build new features or replace Java code in pieces. Since Kotlin is dependent on Java, it means both languages will continue to be supported. 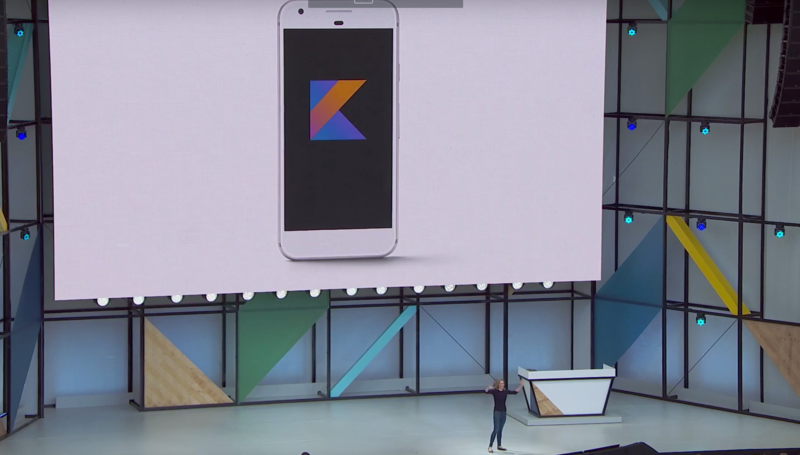 Google will now contribute to the further growth of Kotlin and build new tools directly into Android Studio to make it even more useful. To learn more about Kotlin, check out the sessions titled Intro to Kotlin at 10:30 on Friday and Life is great and everything will be ok, Kotlin is here at 2:30. Also check out the dedicated Kotlin website.